Good day peeps! This week I didn't have my dslr with me, so for this recipe I went back to when I first started, using iphone for the pictures! Even without a DSLR, I'm still able to shoot decent shots thanks to all the amazing editing apps! 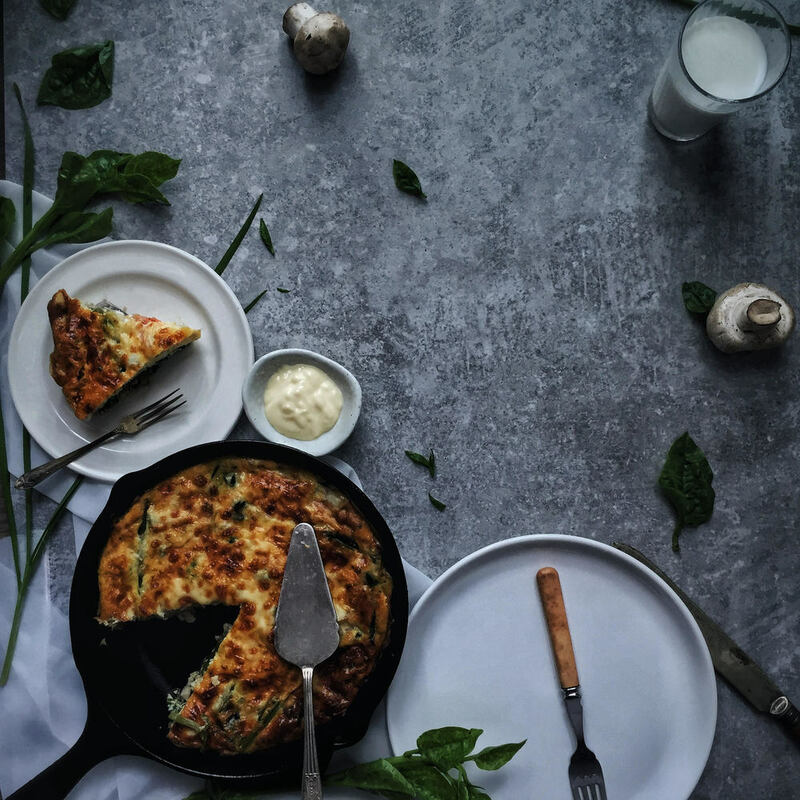 Reason why I name it majestic frittata, is because I incorporated a very commonly found vegetable in asia called the 'Emperor Vegetable' - (a little slimy, but silky texture when cooked), and many other ingredients like chives, tomatoes, mushrooms etc. 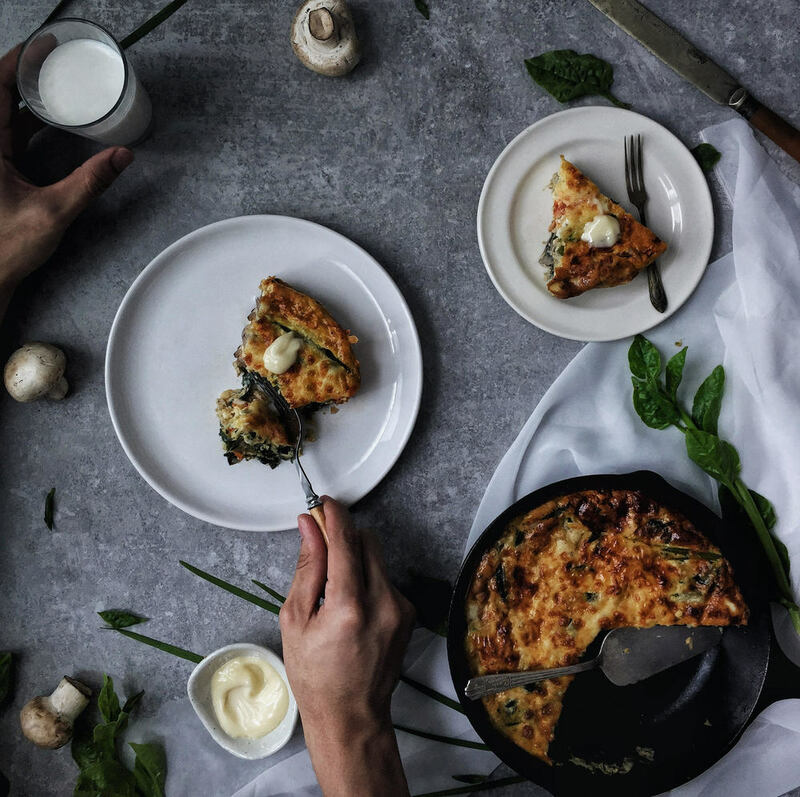 Almost anything goes well in frittata, i.e meat seafood etc. Note: Remember to trim the emperor vegetables, you wouldn't wanna have nasty fibres stuck in between your teeth. Mix the egg, milk, 20g of parmeggiano, 40g of mozzarella, 1tbs of salt, and 1/2 tbs of black pepper. Whisk and set aside. Heat a pan on medium high (I used a bigger pan then transfer the done vegetables to the skillet there after before I add the eggs into the skillet - more space to work with) with oil and saute the garlic till fragrant and light brown. After which add in the mushroom and grated potatoes. 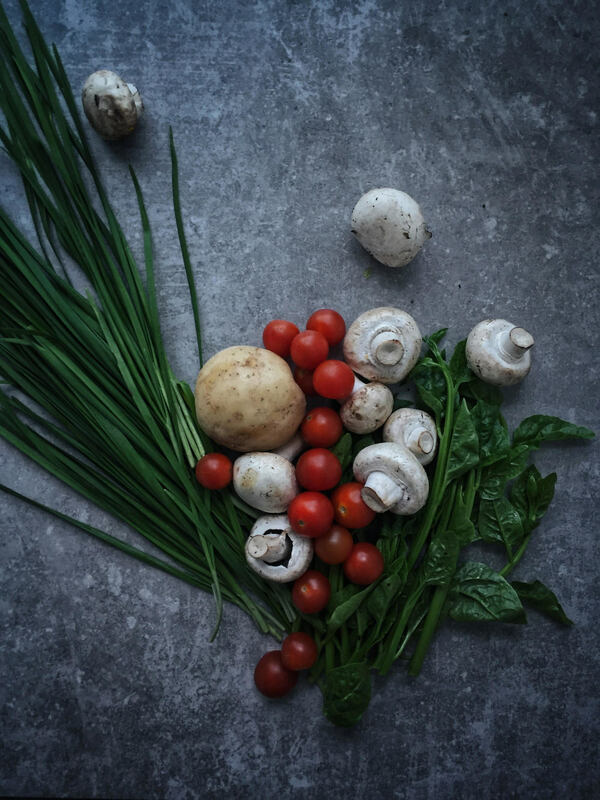 When the mushroom starts to soften, add in the tomatoes, emperor vegetable and chives. Pan fry for a minute or two and season with salt and black pepper to taste. After the vegetable about 70% cooked(still retaining its crunch & green, but not as raw as before) off the heat and transfer to the iron cast skillet (you can use other baking dish). I like to heat my iron cast skillet before putting any food in, helps to kill germs too. After transferring the vegetables into the heated skilllet, add in the egg mixture, stir well to incorporate evenly with the vegetables. Heat on low for a minute or so to let it set a little. Preheat oven to 170C/350F, have the rest of the cheese on top of the egg mixture, bake it for about 12-15 minutes till the eggs are fully set and cooked through. Switch to broil mode on high and broil till surface brown (like pizza), not more than 5 minutes. 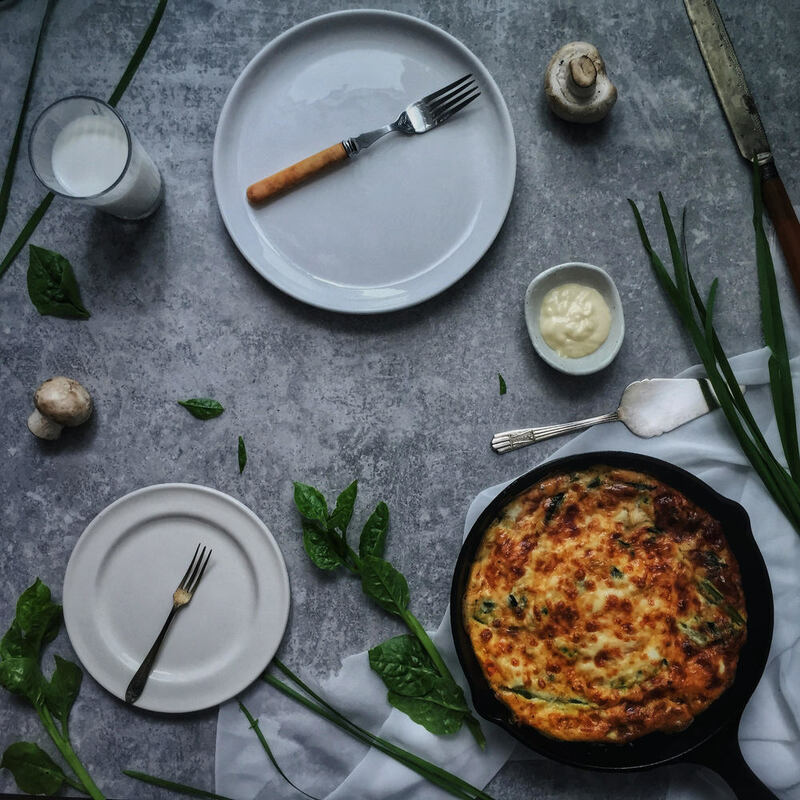 As I mention before, you can practically put almost anything for the frittata, it's such a easy, tasty and flexible recipe. Its a MUST to try it out!